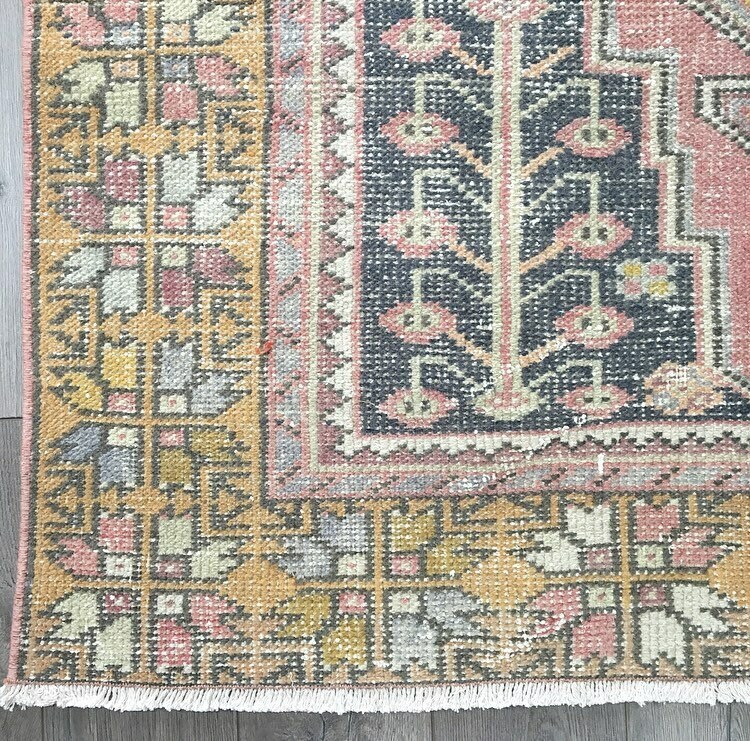 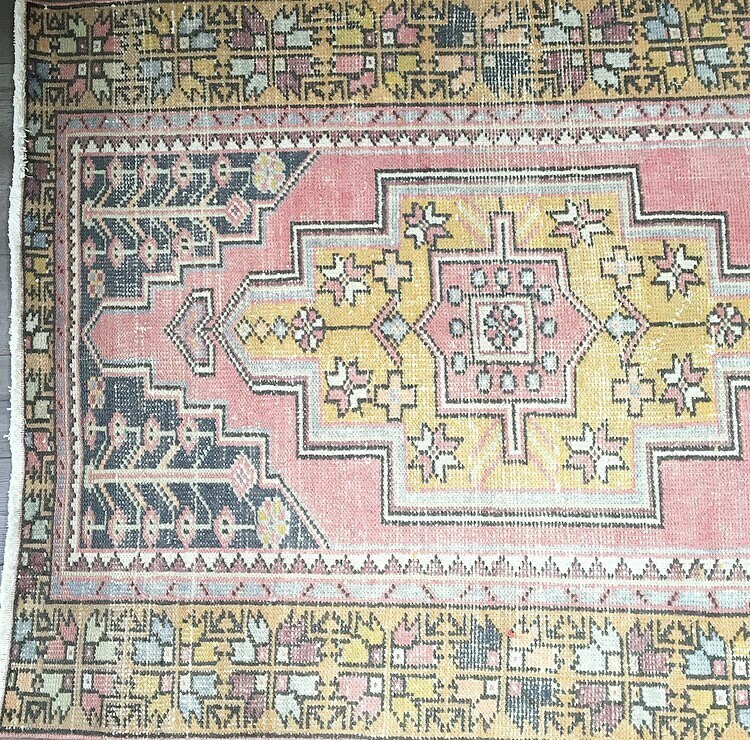 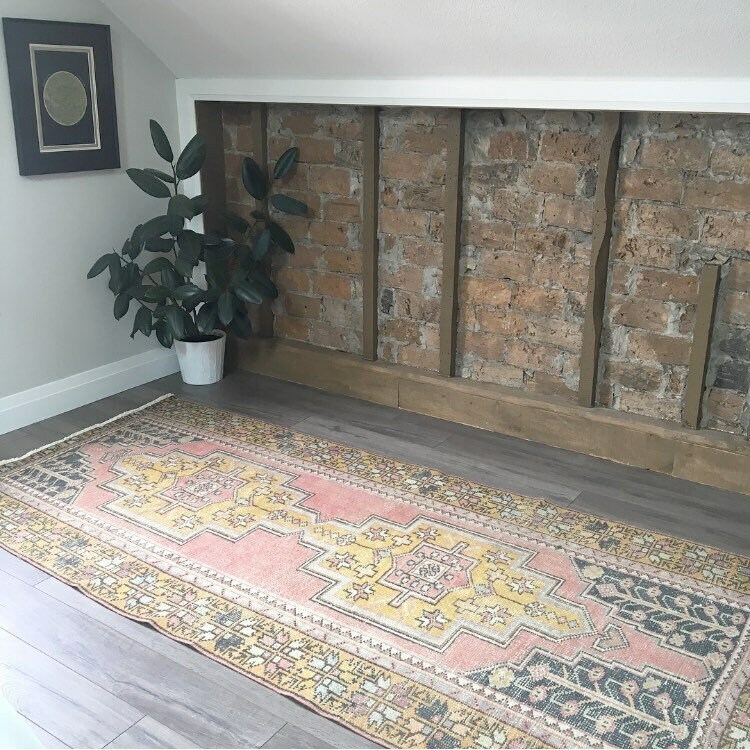 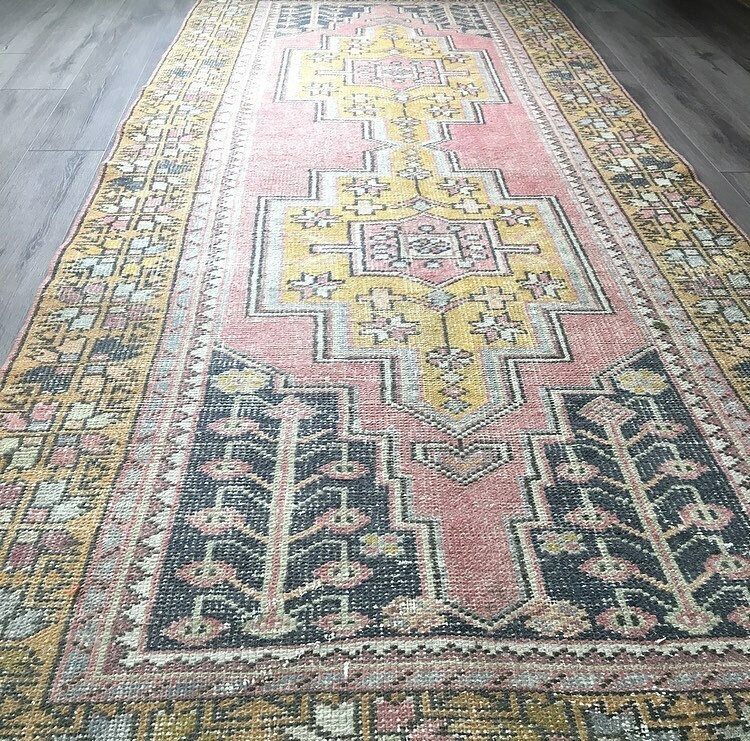 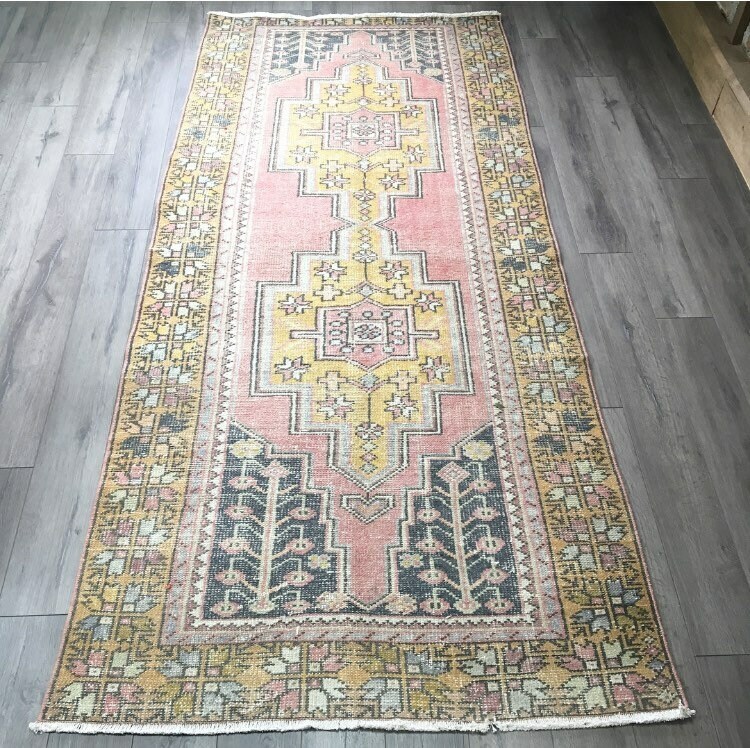 A contemporary and cheerful vintage Turkish Oushak from the 1940s, this rug is in great vintage condition and is holding on to its colours very nicely! 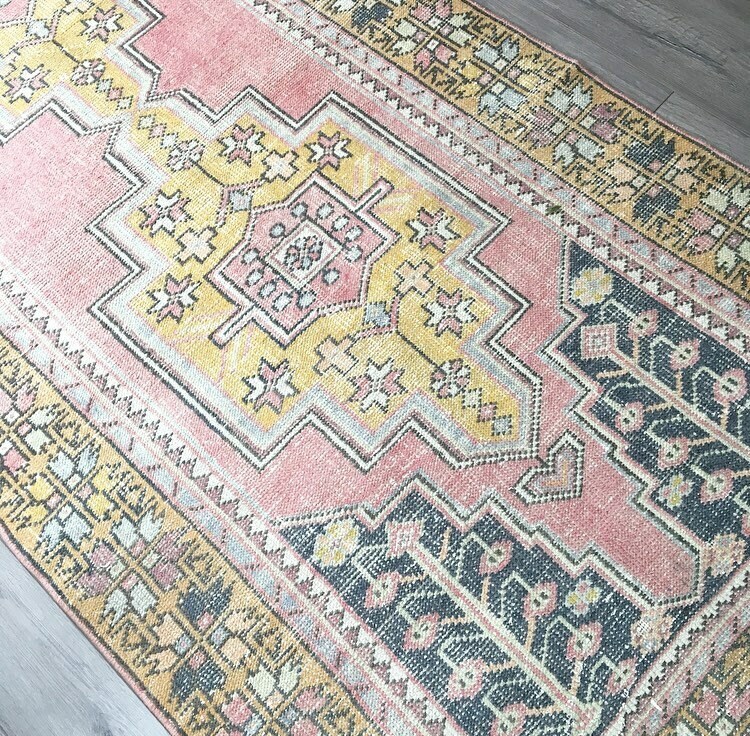 Pink field with two centre medallions and loads of charming details like stars and flowers make this rug stand out. 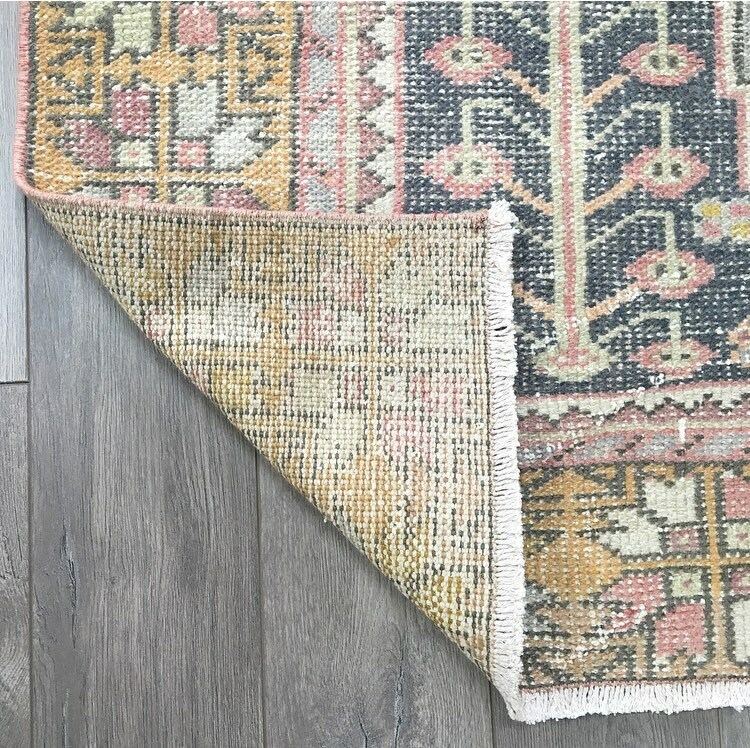 Great in a bedroom, office, under a sofa or in a kids room! 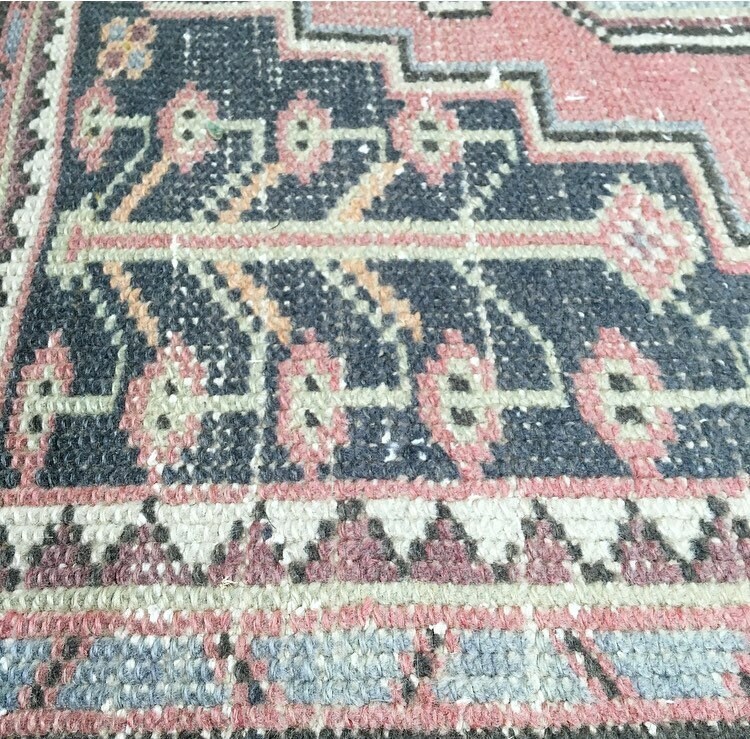 This rug has been professionally cleaned and is ready to use.